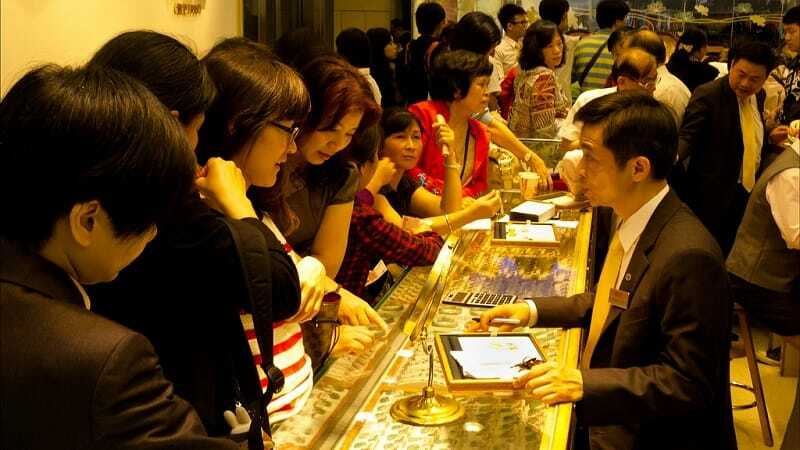 With the Chinese New Year underway, the nation is consuming more gold than normal. Find out what it means for global supply and demand. We’re back with this week’s Your News to Know, which brings you weekly wrap-up of the latest news and critical reads on precious metals. Stories this week include: Chinese gold consumption ahead of Lunar New Year exceeds global production, fear of a Greek exit from the eurozone causes a rush towards gold, and platinum’s “discount” to gold reaches its highest level in almost two years. In a recent report from LawrieOnGold.com, Frank Holmes, chief investment officer at U.S. Global Investors, notes that Chinese gold consumption in the six weeks leading up to the Chinese New Year exceeded the global gold production of the metal in that time, calling the recently-published figures “mind-blowing”. During the Lunar New Year in China, gold is by far the most popular gift, which creates massive consumption within the country. Holmes notes, “Official ‘Year of the Ram’ gold coins sold out days ago, and since the beginning of January, withdrawals from the Shanghai Gold Exchange have grown to over 315 tonnes, exceeding the 300 tonnes of newly-mined gold around the globe during the same period.” The article further points out that Chinese gold consumption has increased even further between the time the article was penned and published. Frank also mentions that the World Gold Council refers to China as a “a huge, relatively untapped reservoir of gold demand”, noting that Chinese gold consumption might significantly increase as the socioeconomic status of its people improves, and an additional 200 million of its citizens enter the middle class. An exclusive report from the Telegraph reveals that a possible Greek exit from the eurozone has caused a panic among investors that are now looking to quickly transfer their savings to gold in the midst of the so-called “currency wars” in Europe. The curency wars currently raging across Europe (and the rest of the world) are threatening to devalue several currencies, thereby reducing the appeal for investors to hold their savings inside banks. Recent events like the Swiss ‘pegxit’ and the Swedish central bank cutting their key interest rate to below zero – not to mention the launching a massive Quantitative Easing program – have all contributed to the increased interest in gold. “Such aggressive stimulus from central banks engaged in currency wars is boosting the appeal of assets that can hedge currency devaluation, like gold,” ETF Securities Martin Arnold said as gold exchange-traded funds experienced a large inflow, reaching $95 million and then $17 million in back-to-back weeks. Reuters reports that platinum is currently seeing its largest “discount” to gold since April of 2013, with gold’s price premium over platinum now exceeding $50 an ounce. The report points out issues in the eurozone as being the primary cause, as investors believe that the European car sector might experience lessened demand for platinum should Greece cause financial turmoil by leaving the eurozone. The increase in platinum supply after the five-month miners’ strike in South Africa ended is also causing investors to turn away from the metal, causing the largest outflow in platinum exchange-traded funds since early 2010. How can silver protect your savings? Find out in our exclusive, live webinar – Click Here to Register for This Webinar Now.